I came across the brand Nanshy recently. I discovered that they choose to stock 100% cruelty free make-up brushes and tools. Isn't that amazing? In their own words...In a world where the fast fashion and beauty industries are at their biggest, and cruelty and production often aren't taken into consideration, Nanshy is a refreshing addition to the market. With this in mind, I wanted to tell you more about them! Paula Pokora will fill you in! Oh and there's a gift for you at the bottom of this post. Nanshy has a simple aim and a clear brand message. They wish to help people enhance their beauty, whilst using only 100% cruelty-free products. Alongside manufacturing vegan only products, Nanshy also ensures their products are of the best quality whilst still being excellent value. At Nanshy you can find everything you need to create your ideal make-up look. Nanshy recognises that make-up starts with the application, and without the right tools, great application is not possible. The cosmetics market had become inflated with low quality products and wanted to offer a solution to the problem, by providing high quality yet affordable products. At Nanshy you can buy everything from foundation sponges, luxury make-up sets, individual brushes and make-up brush stands, all of which are vegan-friendly. We also have a big social media following due to our regular helpful hints and tips. We also publish regular blog posts which vary from tutorials and guides, to trend updates and beauty news. What's more is that Nanshy guarantees to ensure we are always bringing our customers the best make-up tools on the market. We keep up to date with what's available and continuously search the market for updates and even better beauty tools. We want to make looking and feeling good, available to everybody, by bringing the best tools available without an unnecessary price tag. From the word go Nanshy wanted to respect the vegan community and offer vegan-friendly products that everyone could benefit from. We guarantee that no animals are hurt or harmed in any way during the production of all our products, and nothing will be sold on the Nanshy website that doesn't fit in with that ethos. 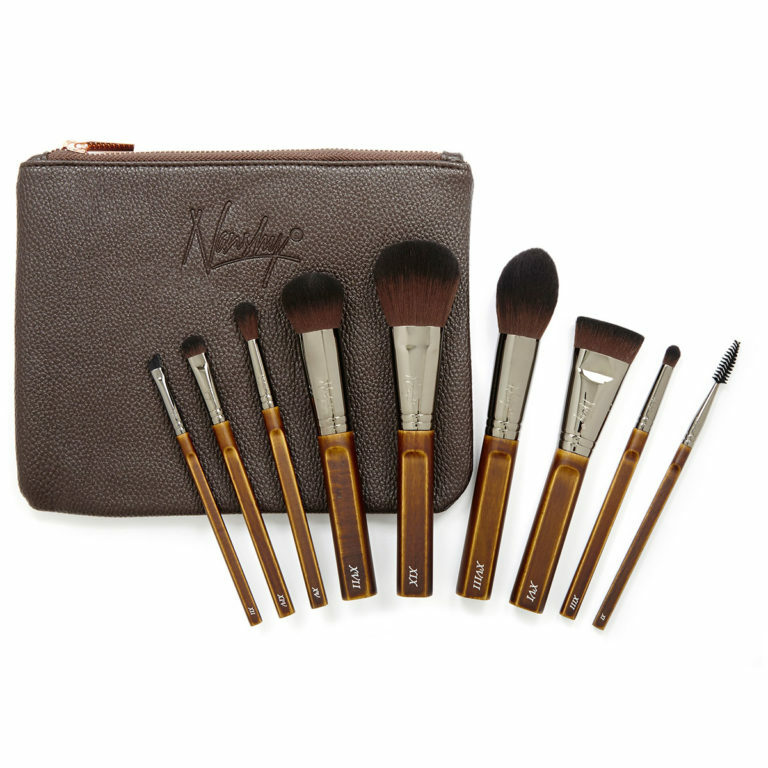 Alongside this, Nanshy also ensures that all products are of the best possible quality, which we believe all make-up tools should be, in order to achieve a great look and be a pleasure to use. If you want to order some of Nanshy's products visit nanshy.com and use this coupon code to receive 10% off the whole basket amount excluding shipping costs. It will be valid until 17th November 2014. Did you like this post? Want to receive others like it? Click here to sign up to Plant Shift's monthly newsletter. Going vegan for health! A raw vegan diet resulted in Karen being free of Cancer!